It's bad enough that a problem I've been talking about for years kills over 700,000 people annually. Now a UK government review has predicted that this number could jump to 10 million in just over 30 years. But don't worry! The drug companies will save us. Ironically, the overuse of prescription drugs is what got us into this mess in the first place. You guessed it - I'm talking about antibiotic resistance and the rise of superbugs. Now, I'm certainly not against antibiotics. They can be lifesaving in the right situation. But I am against doctors prescribing drugs without really thinking through the risks and rewards and whether a drug is truly what's needed in a given situation. And that seems to be happening more and more these days - to the detriment of our health. Obviously, the increase in antibiotic resistance has drug companies and researchers scrambling to offer new solutions. And University of Queensland researchers believe that they've come up with an option by modifying an existing drug called vancomycin. This antibiotic used to be a top choice for dangerous bacterial infections. But bacteria have started to recognize and adapt to it, decreasing its efficacy. This research team was able to change how vancomycin binds to cell membranes so that now it binds only to bacterial membranes, rather than those of human cells. 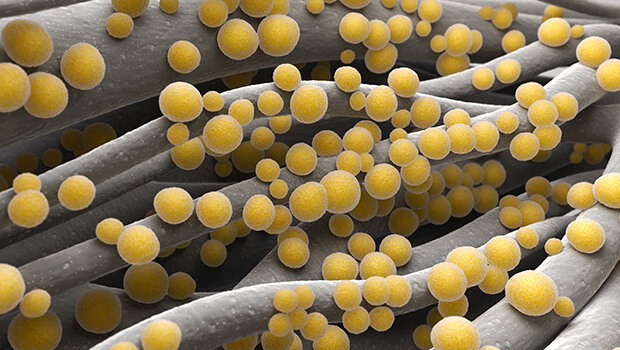 This update may allow vancomycin to treat methicillin-resistant Staphylococcus aureus (MRSA) as well as vancomycin-resistant enterococci (VRE). The researchers published their findings in Nature Communications and hope that they will inspire other scientists to reconsider how existing antibiotics could be adapted to fight bacterial infections effectively again. Of course, in a few years, bacteria will just adapt to these adaptations, unless doctors finally change the way they handle prescriptions (which I'm not holding my breath about). The good news is that you don't have to rely on drug companies to solve this problem. There's a better way to deal with antibiotic-resistant superbugs: ozone therapy. Pre-conditioning your body with this ozone will help your body prepare to fight mild infections on its own, allowing you to save the antibiotics for when they're truly necessary. Ozone therapy and vitamin C will knock out most bacterial, viral, and fungal infections before you ever have to try the antibiotics (which you should never take for a viral or fungal infection anyway). And if you do need an antibiotic for a more severe infection, ozone therapy will help it work much more effectively. To find a doctor able to perform this therapy, visit www.aaot.us. You can also prevent infections and limit their virulence with options like ultraviolet light therapy, hydrogen peroxide therapy, Vitamin D, vitamin A, and immune-enhancers like my Super Immune QuickStart. Most doctors who embrace ozone therapy can advise you on these possibilities too. Choosing these treatments will not only protect your health, but allow you to be part of the solution to antibiotic resistance rather than part of the problem.